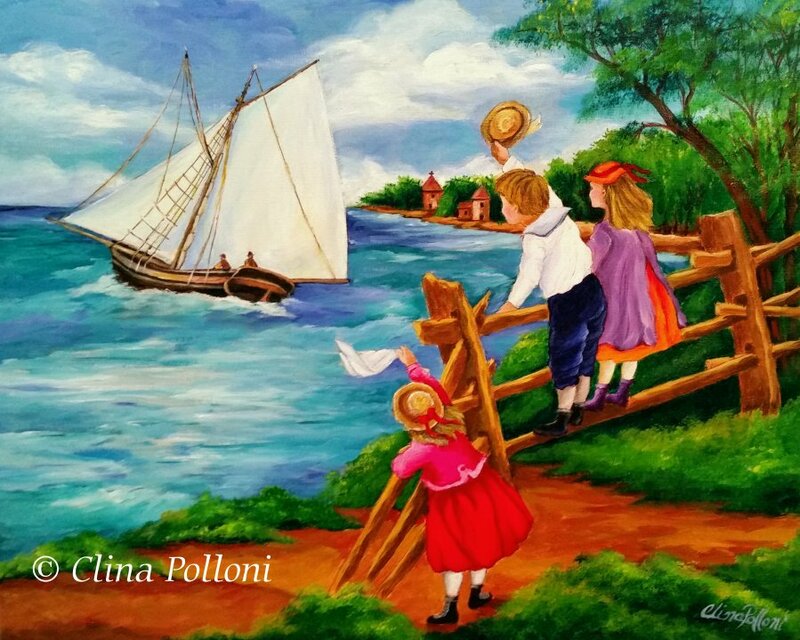 People of NC Exhibition by Clina Polloni at Wake Forest. You are cordially invited to “The People of North Carolina Exhibition”, that will last all the month of May and June 2018. We will also celebrate the 1st Friday. at the Renaissance Centre For The Arts in Wake Forest. Come to visit any time! Location: Arts Annex Wake Forest Renaissance Centre. 407 Brooks Ave. Wake Forest, NC. 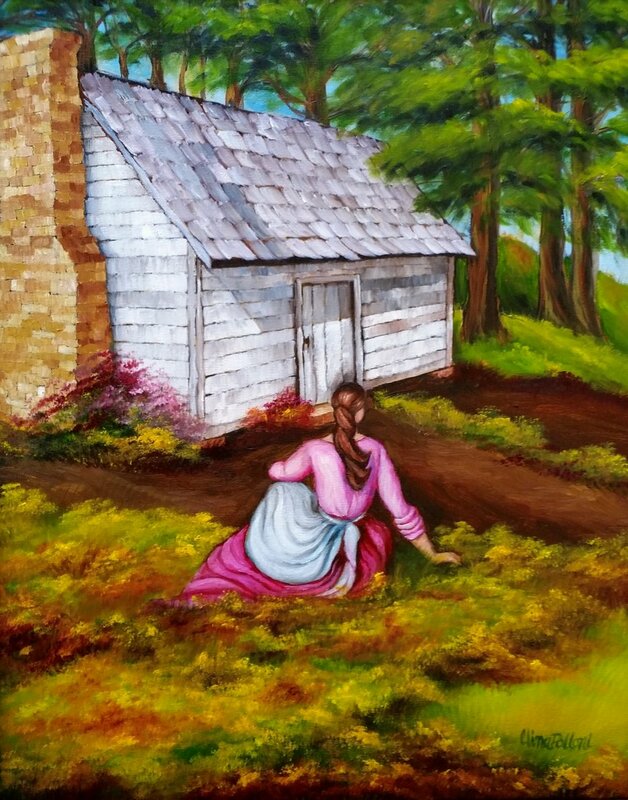 In these paintings I am portraying the people of North Carolina in their environment and activities, representing a time and history of our beautiful state. 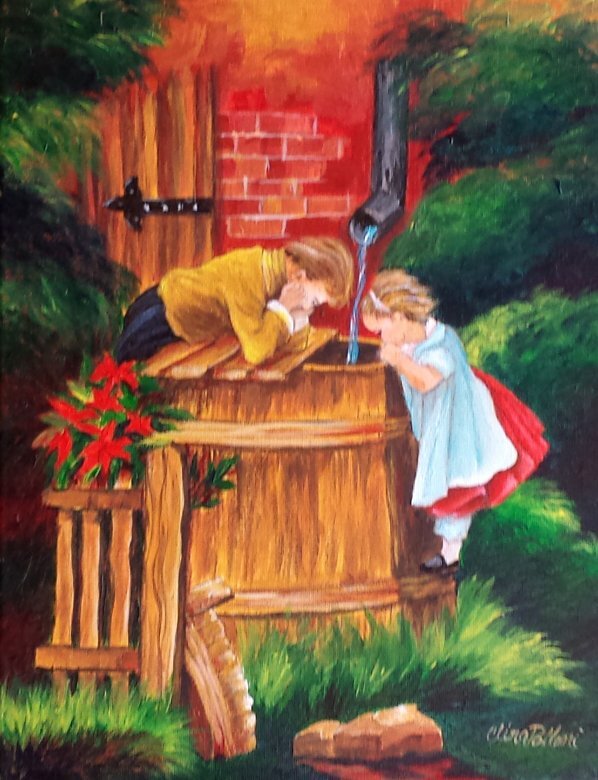 These paintings are inspired by IMAGES in my mind, people that I meet, places that I visit. 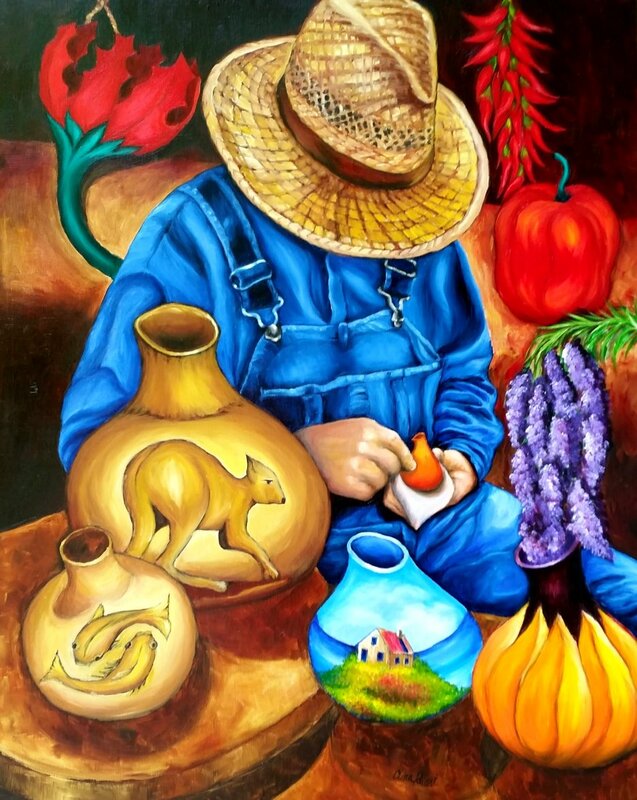 This oil painting is in honor of all the gourd artists of NC that works their craft in silence. 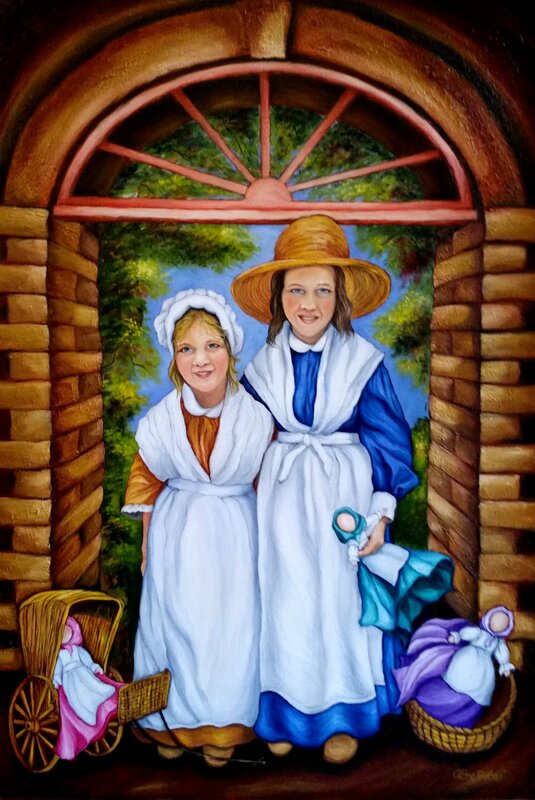 “Colonial Sisters With Dolls NC”, 30″x40″. Beautiful faces of sisters, proud of their homemade doll. 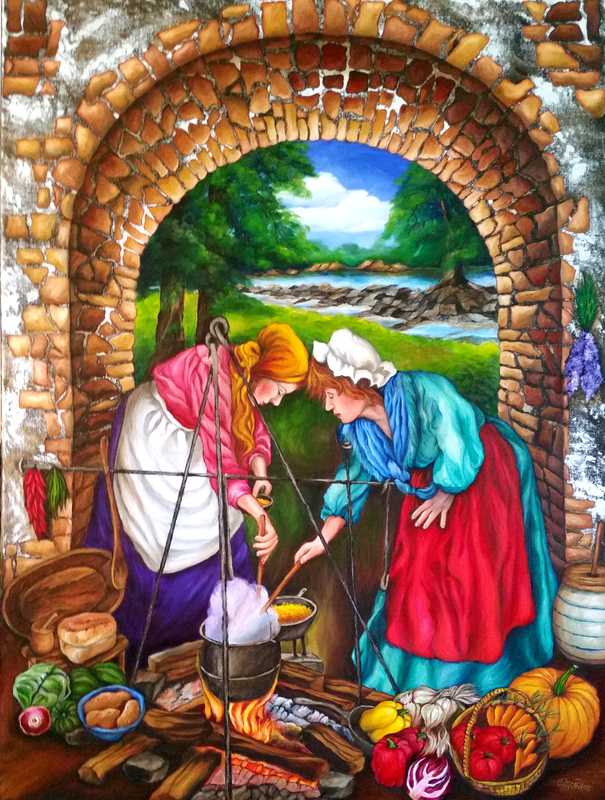 “Cooking On An Open Fire In NC”. 30″x40″. Inspired by my great admiration of the pioneers that came to this land. 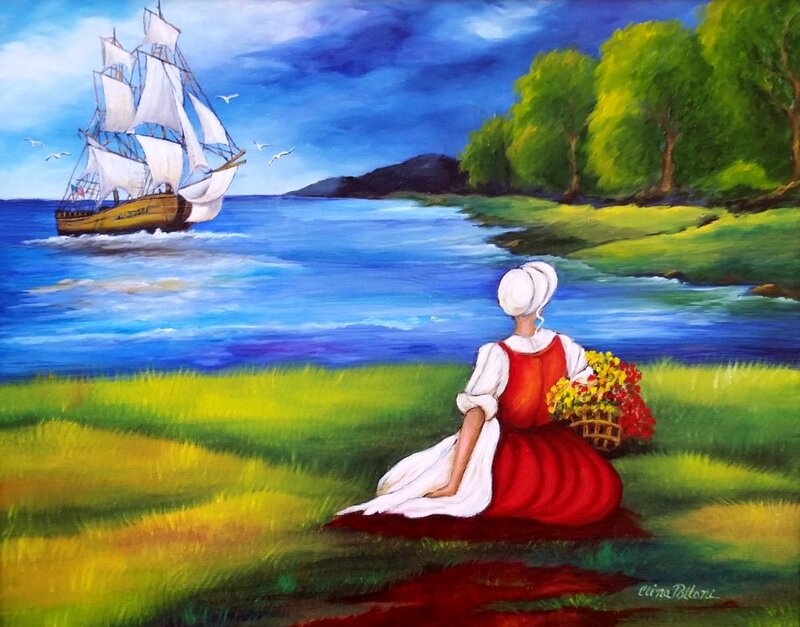 1587 Eleanor Dare waiting for her father John White. From the colonial times of NC. Vice-Chair of The Franklin County Art Council and member of Wake Forest Guild of Artists, of North Carolina.